Former Terrier co-captain, Hobey Baker Award winner and two-time All-American Chris Drury has been promoted to assistant general manager by the New York Rangers. The Trumbull, Conn., native, who spent 12 seasons in the NHL including four with the Rangers, scoring 615 regular-season points, rejoined the Broadway Blues a year ago as director of player development. His role in helping New York sign last year’s Hobey Baker Award winner, free-agent Jimmy Vesey of Harvard, was widely reported. 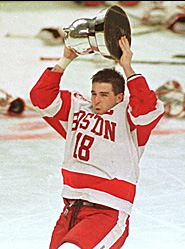 As a freshman, Drury was part of BU’s 1995 national championship squad. He would help the Terriers reach two more Frozen Fours, earning All-American honors as a junior and again as a senior. He remains BU’s all-time goal-scoring leader (113) and is third on the all-time points list. OFFICIAL: #NYR have promoted Chris Drury to Assistant General Manager. The 2016-17 Terrier roster is now available on the recently updated goterriers.com Web site. 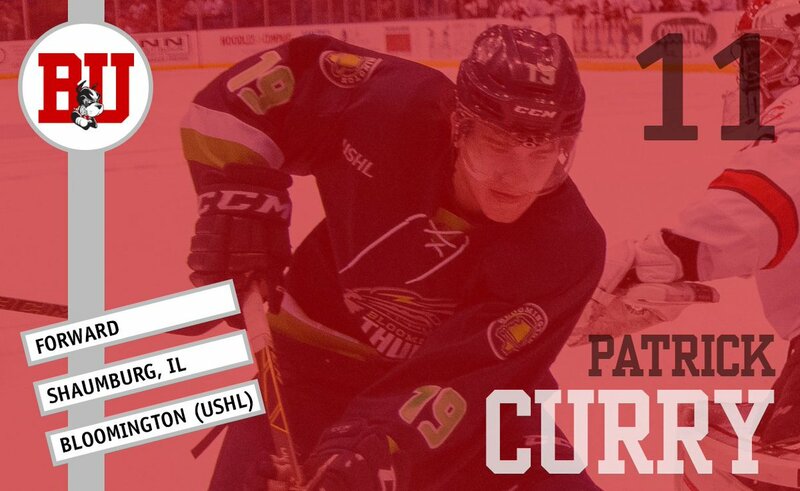 Numbers for the nine newcomers: Chad Krys is #5; Kieffer Bellows #9; Gabriel Chabot #10; Patrick Curry #11; Dante Fabbro #17; Clayton Keller #19: Patrick Harper #21; Johnny McDermott #28; and Jake Oettinger #29. 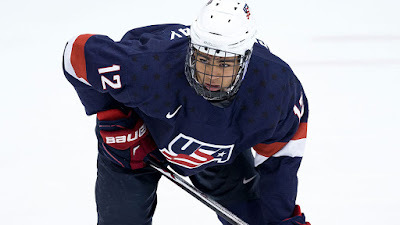 Former Terrier, NHL and Olympic standout power forward Keith Tkachuk discussed the potential and development of sophomore Jordan Greenway (photo) for New England Hockey Journal. The 6’6”, 230 lb. 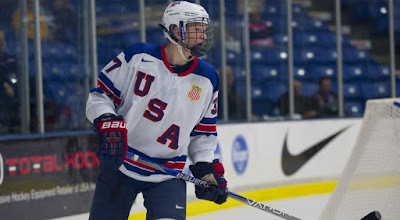 native of Potsdam, N.Y. was one of Team USA’s top performers at last month’s NJEC Showcase in Plymouth, Mich.
Another NEHJ feature looks at the impact of the late Jim Prior on BU hockey through the observations of six Terriers: Charlie Coyle, Brian Durocher, Dan Ronan, Danny O’Regan, Ahti Oksanen and Sean Maguire. With future Terriers Logan Cockerill, David Farrance and Brady Tkachuk (photo) on the roster, the NTDP U18s’ schedule kicks off this Friday. Beginning Oct. 2, the U18s will face six consecutive Division 1 opponents, including a visit to Agganis Arena on Oct. 6. 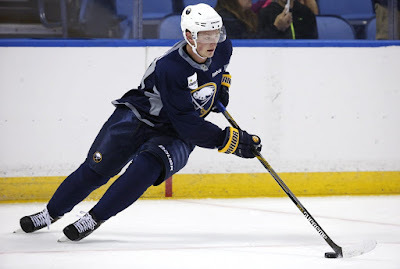 Former BU All-American and Hobey Baker Award winner Jack Eichel is in Montreal practicing with Team North America for the 2016 World Cup of Hockey, which begins on Sept. 17. On Monday, the Buffalo Sabres' forward was centering a line with Johnny Gaudreau and Brandon Saad. The Hockey News talked with Eichel about his rookie season in Buffalo where he scored 56 points, second best among NHL rookies. Seven Terriers—two current skaters and five alums—have been named to the 44-player squad for Hockey Canada’s National Women’s Team Fall Festival, set for Sept. 11-18. Juniors Victoria Bach and Rebecca Leslie will attend the festival in Calgary along with Marie-Philip Poulin, Jenn Wakefield, Tara Watchorn, Jenelle Kohanchuk and Sarah Lefort.